Made of smooth polyester, non lined. 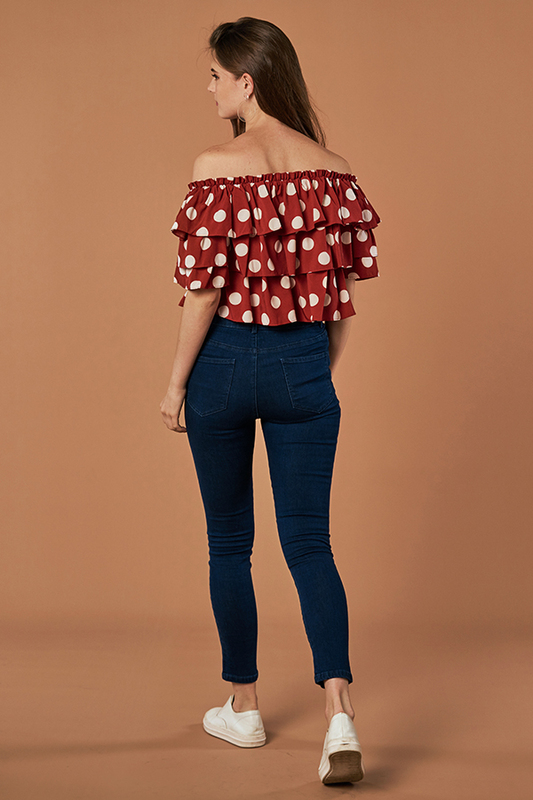 Features polka dots prints and ruffled frills layers all round on a deep red base. 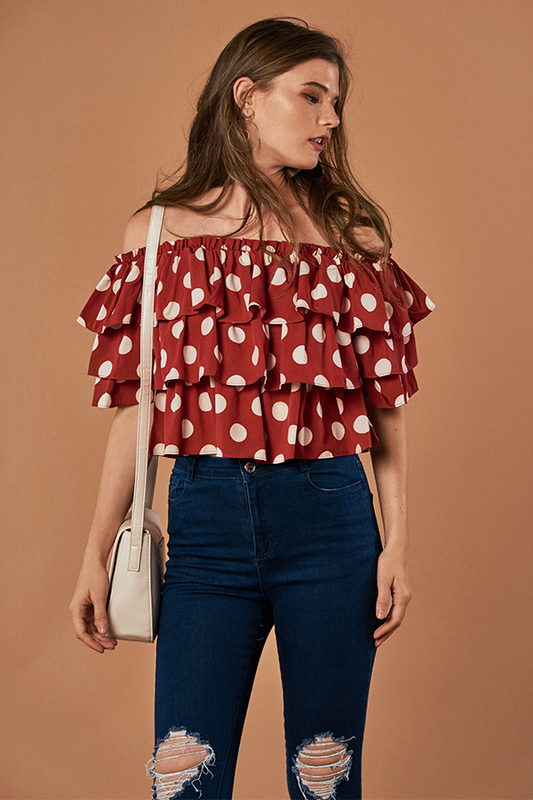 Comes in an off-shoulder cut, complete with elasticised inserts. Non sheer. 13.25" 13.75" 14.25" 14.75" 15.25"